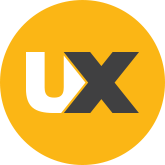 UXTraining.com fully respects your right to privacy, and will not collect any personal information about you on this website without your clear permission. Any personal information which you volunteer to the website will be treated with the highest standards of security and confidentiality, strictly in accordance with the Data Protection Acts, 1988 & 2003. UXTraining.com does not collect any personal data about you on this website, apart from information which you volunteer (for example by subscribing to our email list). Any information which you provide in this way is used by UXTraining.com only in line for the purposes for which you provided it. Your personal data may also be anonymised and used for statistical purposes. If you are concerned about how personal data are processed via this website, please do not hesitate to bring such concerns to the attention of UXTraining.com at hello@uxtraining.com. When you purchase one of our services. When you engage with our customer support team. When you fill out our contact or marketing forms on our website (for example our ‘Keep up to date’ form). For the purposes of training events attended onsite or online, the data that is collected by UXTraining is used to plan and manage the event for which you are registered, as well as email you relevant details about the event. To conduct customer satisfaction surveys to help improve our products, (we use Survey Monkey for this). UXTraining does not share your personal data with any third parties. We will retain your personal data for as long as necessary to fulfil the purposes we collected it for. For this reason, retention periods will vary depending on how or why your data was collected. You have a number of rights available to you regarding your personal information and what happens with it. You have a right to have your data processed in a fair and transparent way. Require us to correct any mistakes in your personal data. Require us to delete personal data concerning you (please note this can affect you receiving information regarding a product or event you have signed up to). Request that we transfer your personal data to you. Object at any time to processing of your personal data for direct marketing purposes.